AFL fans attending matches in Geelong may be surprised by what’s missing from GMHBA Stadium this season. 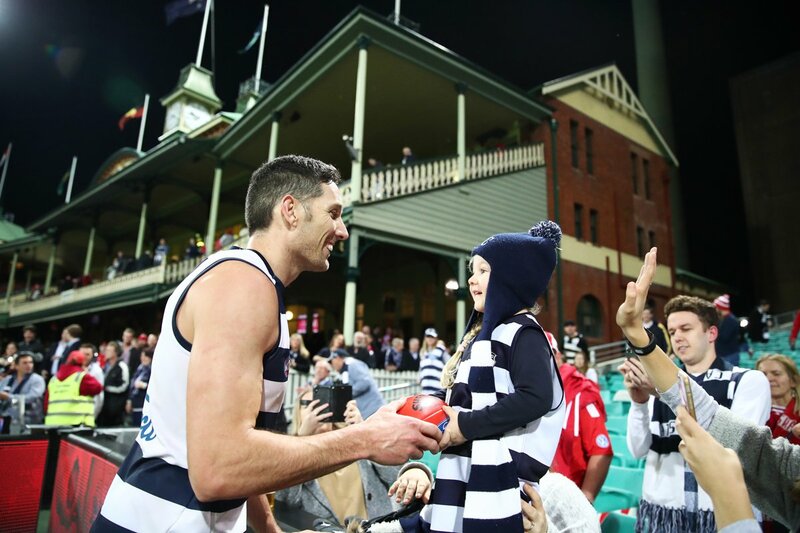 A partnership agreement between Geelong Football Club and the Victorian Responsible Gambling Foundation means that sports betting ads during AFL games at the Cats’ home grounds are to become a remnant of the past. Foundation chief executive Shane Lucas today congratulated Geelong FC on the decision to say ‘no’ to in-stadium sports betting advertising, which has become so prolific that anyone born this millennium thinks sport and betting go hand-in-hand. “When young people see excessive sports betting promotion it can seem like gambling is normal, and that sport is all about the odds, not the game,” Mr Lucas said. Geelong veteran and avid supporter of the Foundation’s Love the Game Sporting Club Program Harry Taylor concurred. “Gambling advertising is everywhere and it's changing the way young people see sport, which is a real concern,” Mr Taylor said. “We have a responsibility to ensure our kids understand that betting and sport don’t have to go together, and that they are in a position to make informed choices about gambling when they turn 18. This means having open conversations about gambling with our kids while they are still growing up. The Foundation’s 2018 community attitudes survey identified there is strong and growing community sentiment against sports betting advertising, especially its potential impact on young people who are exposed to it. 74 per cent of Victorians think adolescents are exposed to too much gambling advertising. Mr Lucas also welcomed the ongoing commitment of the Western Bulldogs Football Club to keep MARS Stadium in Ballarat free from gambling advertising. “The Western Bulldogs and Geelong Cats are leaders in recognising the importance of this issue and taking action to reduce the amount of in-stadium gambling advertising seen by young people where it is within their control,” he said. Geelong Cats' Harry Taylor chats with a young fan.